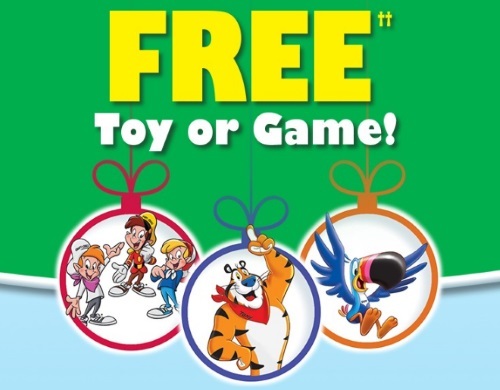 Kellogg's popular toy/game promotion is back! Get a Free Hasbro toy/game when you purchase two specially marked Kellogg's cereals and locate the PIN codes printed inside! You can claim one free toy or game valued at $10 or one coupon for $10 off the purchase of a toy or game valued at $25 or more. Offer is valid until January 15 2017 or while quantities last. Limit 3 coupons per mailing address. Allow 4-6 weeks for delivery.